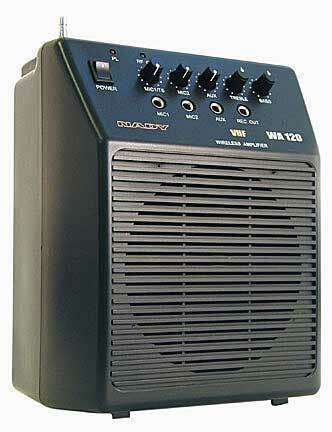 Ideal for many applications -- classrooms, conference/meeting rooms, churches, health clubs, and small auditoriums -- the WA-120 is powerful, lightweight and easily portable. Powerful 20W audio output. External AC, DC (12-15V) or internal battery powered (8 x "D" alkaline or rechargeable batteries, 2 x "AA" and one 9V).